Mayor Bill de Blasio is dumping a lot of money into the East River bridges over the next three years. 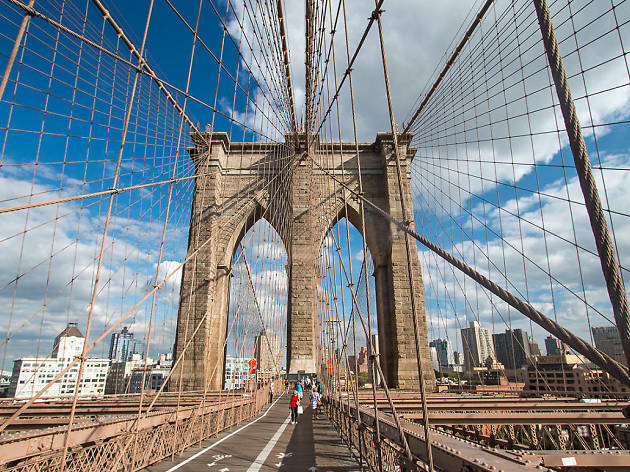 The New York City Independent Budget Office released an update to the mayor's Capital Commitment Plan this week, which laid out plans to allocate more funds towards improving the conditions on the city's bridges and streets. In all, the Department of Transportation will be receiving an additional $191 million for the rehabilitation of the East River bridges through the end of 2019, bringing the total funding for the project to $936 million. The bulk of the extra cash for the project will go towards the Queensboro Bridge, which will get $110 million of the additional funds, bringing the total funding for the rehab work on the bridge to $392. According to the report, $353 million of that money will be used to replace the upper level of the bridge, and the remaining cash will be put towards "hazard mitigation work." 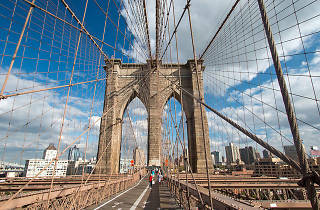 Funding for work on the Brooklyn Bridge saw an increase of $34 million, bringing the total put against that project to $377 million. Rehabilitation efforts on the city's most iconic bridge will include improving ramps, as well as a massive effort to repaint the entire thing to protect the steel against corrosion. The Manhattan Bridge is receiving an additional $33 million from the Capital Commitment Plan and the Williamsburg Bridge is receiving an additional $13 million, bringing the sum total for each project to $127 million and $40 million, respectively. In all, the city is poised to spend nearly $1 billion over the next three years to keep the East River bridges up to date. It's pretty important work for anyone who doesn't want to see them, you know, fall over.